Various kinds of tea are grown in the vastly different geographic locations in China. This exclusive 20-day China Tea Discovery Tour is designed to capture the essence of China's tea culture combined with rich natural and cultural attractions around the country. Transfer by international or domestic flight – own arrangement. Upon arrival at Shanghai Airport, our local English-speaking guide will meet you at the airport with a welcome sign with your name, and then transfer to your hotel. Free at leisure for the rest of the day. 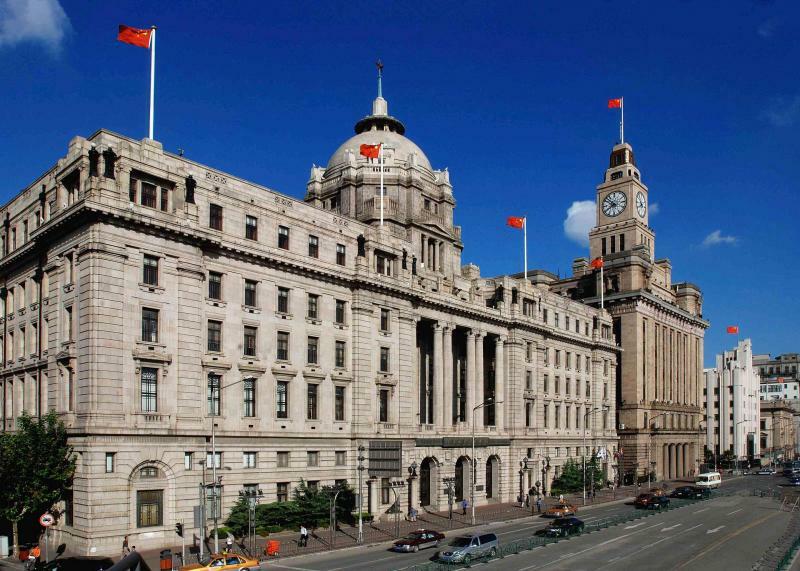 After breakfast at the hotel, meet the guide at the appointed time and start today’s Shanghai city trip to visit Shanghai Museum to learn about the local Shanghai history, have a free walk on the nearby Old Street. After lunch at a local Chinese restaurant, pay a visit to the Oriental Pearl Tower to see the modern Shanghai. After that, free at leisure on the Nanjing Road and the Bund. 3 Day 3 Visit the Master of Net Garden, Humble Administrator's Garden, Grand Canal, etc. 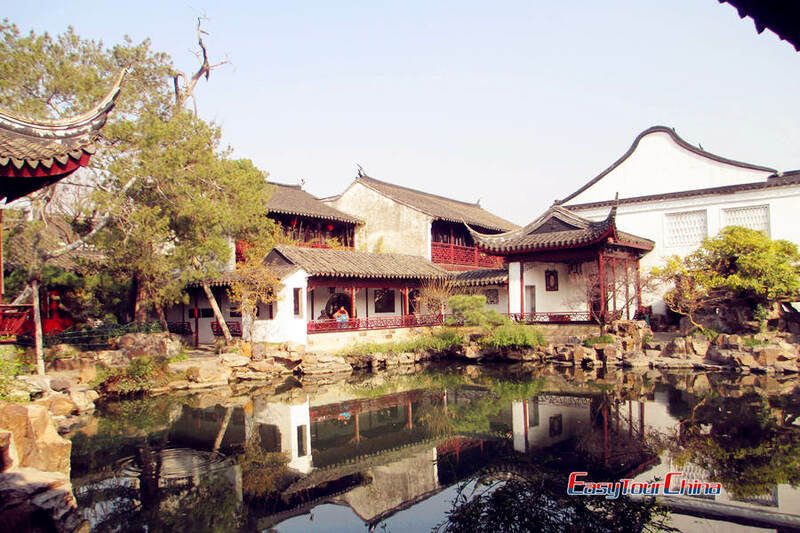 After breakfast at the hotel, drive about 1.5 - 2 hours to Suzhou, visit the Master of Net Garden, which is the smallest of the Suzhou residential gardens, yet it is the most impressive because of its use of space which creates the illusion of an area that is much greater than its actual size. And then visit Humble Administrator's Garden, which is the largest and most renowned garden. Lunch will be taken at a local Chinese Restaurant. In the afternoon, visit the Grand Canal with a cruise which is which is also known as the Beijing-Hangzhou Grand Canal is the earliest and the longest artificial river in the world that is ten times of the Suez Canal and 22 times of the Panama Canal. And then pay a visit to the No.1 Silk Factory - with a history of more than 80 years, enjoys a good reputation in the silk industry. Overnight in Suzhou. 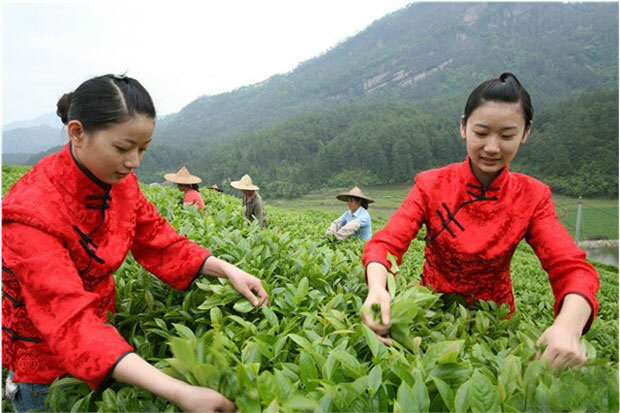 After breakfast at the hotel, transfer to nearby West Mountain to visit the Biluochun Tea Garden, pick tea at the garden with tea farmers, see the whole process how to make green tea, and then taste the Biluochun green tea. Lunch will be taken at the local farmers’ home. In the afternoon, drive to Wux, visit Tortoise Head Garden, and then walk around the Taihu Lake. Today’s tour ends with a visit to the pearl factory. Overnight in Wuxi. After breakfast at the hotel, transfer to Yixing Hao Tea Garden, walk around the tea garden, learn about Hao Tea (one of the green tea) and taste the tea. 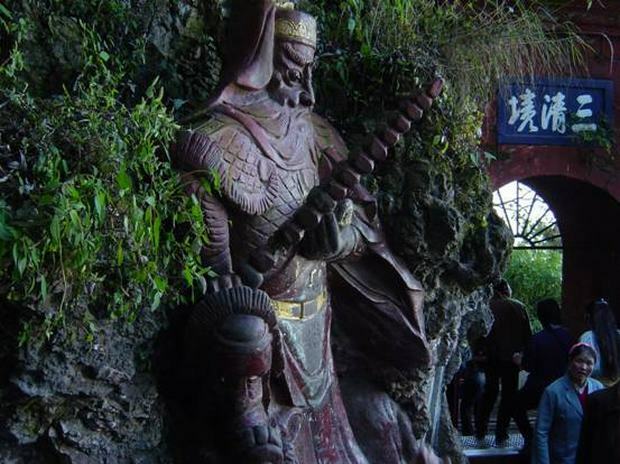 Drive about 1 hour to Yixing, visit the Dingsu Town (Purple Sand Village, and Purple Sand museum -Monday closely). And then visit the Dragon Kiln in Qianshu Village – the last dragon kiln in China; learn about the Purple sand teapots. Try the local green tea in a local family. Later today, drive about 1.5 hours to Hangzhou for overnight. After breakfast at the hotel, visit the West Lake, and take a boat on the Lake. After that, visit Mr. Weng Shang Yi, our widely respected Shi Feng long Jing tea master, and witness the tea harvest at his gardens. After meeting with Master Weng, we will take a walk through the Emperor’s Tea Garden and visit the Hangzhou Tea Museum (closed on Monday), pick tea and see frying tea process. Overnight at Hangzhou. In the morning, meet the guide at the hotel lobby at the appointed time, drive about 3.5 hours to Huangshan City, process driving to visit the Hongcun village, where the Oscar Winner "Couching Tiger, Hidden Dragon" was filmed. Overnight in the city. After breakfast at the hotel, start from the hotel around 7:00am, drive about 2 hours to Beidamen Yanghu Lake Tea Garden Base– Huangshan Maofeng which is one of the green tea, trekking about 1.5 hours up to the Tea Garden Base. You can see local farmers picking tea and making tea, and then trekking about 1.5 hours down the mountain. Overnight in Huangshan. Transfer by overnight train – 2025 (21:13 – 05:27) about 8 hours – soft or hard sleepers. 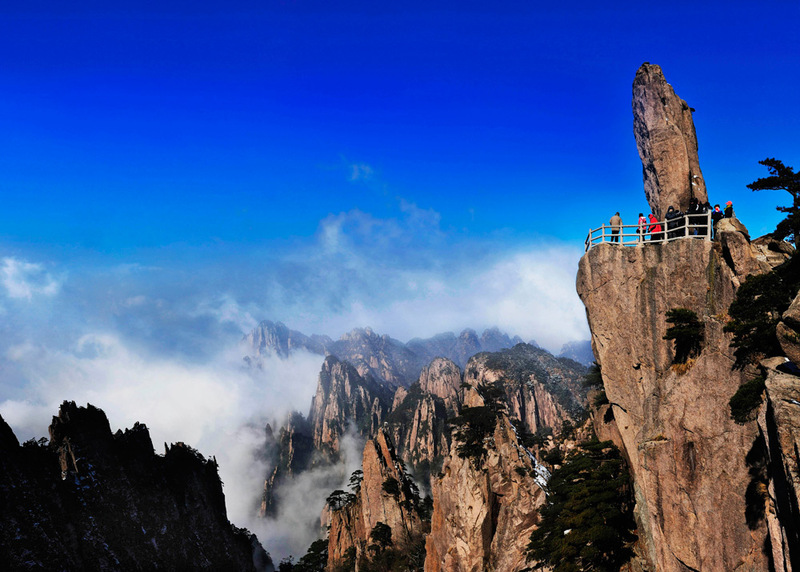 One day Yellow Mountain Tour: take 1.5 hours drive to the foot of the mountain. Ascend the eastern side of the mountain by cable car, and then begin to 7km (4.3 mile) hike to the western side of the mountain. On the hike we will take in Yellow Mountain’s most spectacular views and ascend its highest peak – Lotus Peak. Later descend the mountain (by cable car) and transfer to the city for dinner. And then transfer to the railway station for the overnight train to Shaowu. Upon arrival at Shaowu railway station in the early morning, meet our guide at the railway station, and then drive 1.5 hours to Wuyishan. Have breakfast in the hotel and for a morning rest. In the afternoon, you will visit Tianyou Mountain (Wu Yi Mountain), which is the birthplace of China’s rock oolongs. You need to up and down the mountain, about 3.5 hours. Overnight in Wuyishan. Today, we’ll float along the Nine Curves River in a bamboo boat to enjoy the gorgeous scenery. On the boat, you’ll have a chance to absorb the scenery and learn why this particular area is so well suited for oolong tea. In the afternoon, visit Dahongpao (Red Gown) and Water Curtain Cave – about 3 hours, you will see Dahongpao’s mother bush, which is over 350 years old, in a special park. On the way back from Water Curtain Cave, you can see a lot of tea gardens on the rock, where you can learn about rock tea. And go to a tea farmer’s house to taste special wild mushroom tea. This morning, go to Royal Tea Garden and learn about the history of Oolong Tea. After lunch, transfer to the airport for the flight to Xiamen. 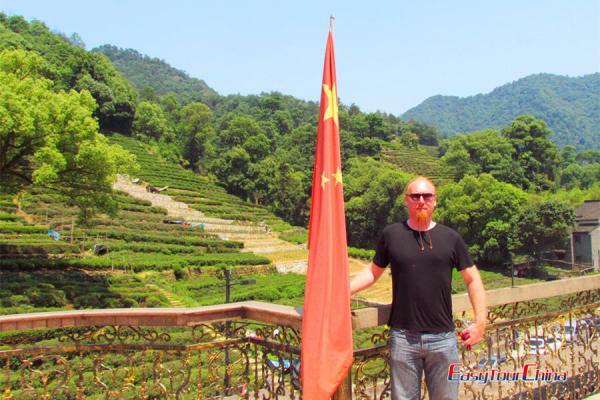 Upon arrival in Xiamen, meet the guide and transfer to the hotel for a good rest. En route, enjoy the amazing view along the Ring Road. Overnight in Xiamen. In the morning, drive about 2hrs to Anxi, the capital of Tieguanyin. 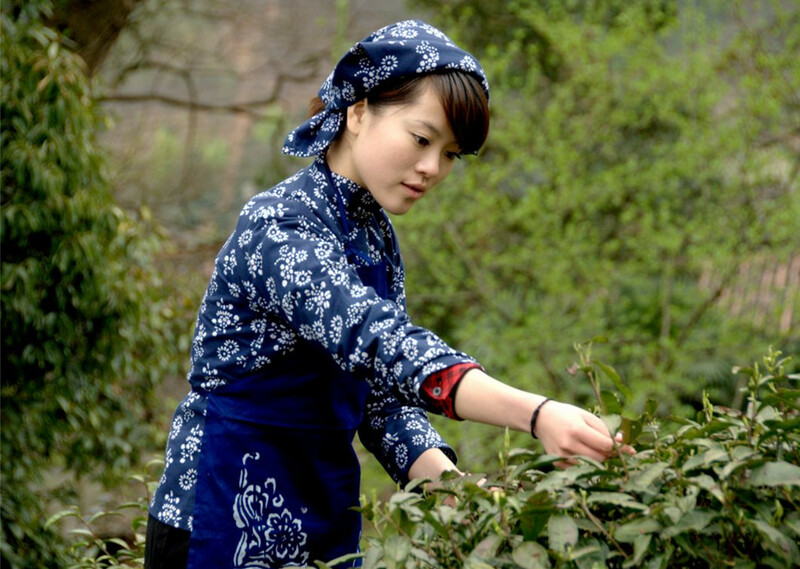 Visit Xiping Village, the home of the original Tieguanyin bush; then visit Tieguanyin Cultural Garden and Weiyin Tea Factory to the history and production methods of Tieguanyin. Later today, drive back to Xiamen. Today we will drive about 3 hours to explore the China Fujian Tulou – Yongding Hakka Earth Buildings, one of the world cultural heritages. Visit the King of Tulou – Chengqi Lou and the nearby other Hakka House. Later today, drive back to Xiamen for overnight. In the morning, transfer to the airport for the morning flight to Kunming. Upon arrival at Kunming airport, meet your local guide and transfer to the hotel. 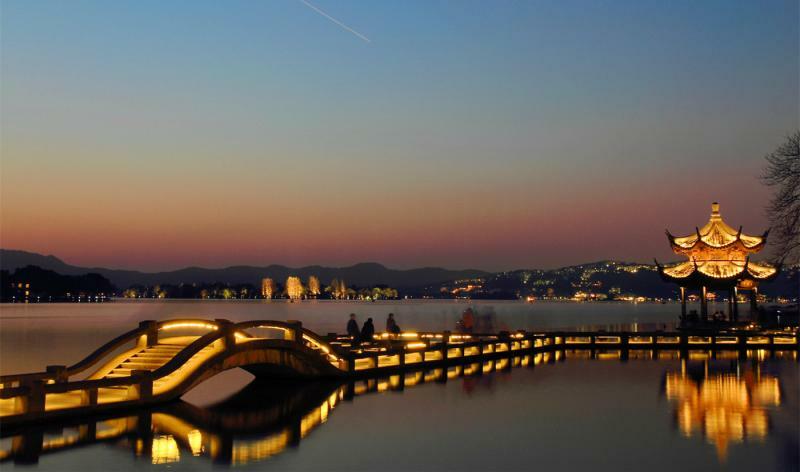 After that, you will take a leisurely stroll along the Green Lake, a charming area of teahouses and small boutiques selling handicrafts and beautiful local paintings. Enjoy a welcoming dinner of Yunnan Flavoring food with crossing Bridge Rice Noodle at local Restaurant. 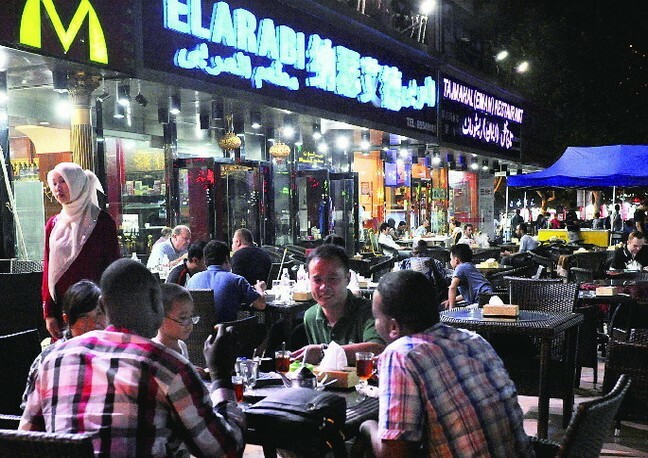 Overnight in Kunming. This morning drive to visit the West Hill and Dragon Gate. In the afternoon, transfer to the airport for the flight to Puer City. Upon arrival in Puer city, be met by the local guide and transfer to your hotel for check in. Free at leisure in the evening. Overnight in Puer. 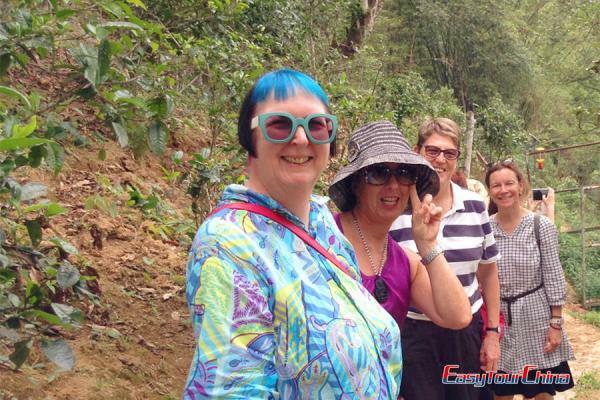 In the morning, drive to Puer Tea Gardens, overlooking Puer city. You will explore the Chinese Tea Institute and their Library of dried tea leaves before being whisked off to a tea tasting and more interviews. 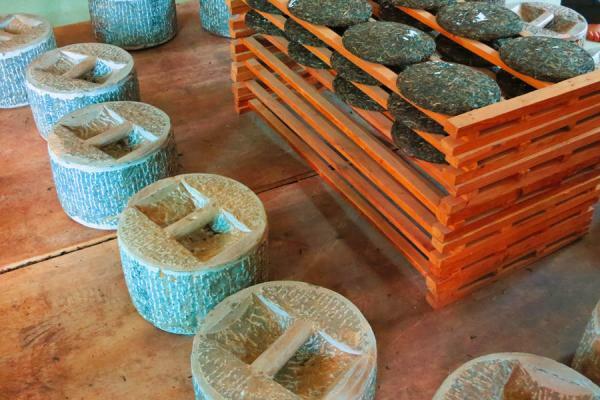 Visit the Puer Tea Factory and experience how local people cook the Puer Tea Cakes. In the afternoon, transfer around 2 hours to Jinghong City, and then continue the driving to Menglun Tropical Botanical Garden in Mengla County. Overnight at Menglun. After the simple Chinese Breakfast, visit Menglun Tropical Botanical Garden. Situated 103 kilometers, or 3 hour ride, from Jinghong, the Tropical Botanical Garden was founded in 1958 and is currently playing an important role in research in the areas of medicinal plants, taxonomy, economic plants and biochemistry. This garden proudly holds 3,000 species of plants, one of the richest botanical concentrations all over the world. After visiting Menglun Tropical Botanical Garden, drive along a winding road through a tropical rain forest and stopped briefly at a rubber tree orchard on the way to Yiwu. Take a bumpy dirt road to see an 800 years old tea tree overlooking a gorgeous lush valley in Zhengshan Mountain. On the way back, you can walk along one part of the Tea Horse Trail which begins in Yiwu village and goes all the way to Tibet. Today’s last stop is Mr. He Tian Neng’s Old Tea Workshop where you can drink tea and see the stone blocks used to press tea cakes. If time permits, Mr. He will take you to his newer workshop where you watch as workers make puer tea cakes by hand using methods. Overnight in Yiwu. Today we will make our own puer tea cakes at a small Cha Ma Shi Factory in Youle, another of the 6 famous puer tea mountains. After steaming, pressing and wrapping 2 cakes each we really got to experience how naturally simple the whole process is compared to other types of tea which are fried, rolled and processed substantially more. The only downside I see to puer cakes is the lengthy aging process which is necessary for the deep rich taste to develop. From this tea factory we will travel to DaDuGang, the owner of the largest tea plantation in Asia. We will have some tea with the owner of DaDuGang. After that, transfer back to Jinghong city for overnight. Transfer to Jinghong airport for your flight to next destination.